Below you fill find all funeral homes and cemeteries in or near Central. Central is also known as: Pickens County / Central town. Their current mayor is Mayor Mac Martin. Zip codes in the city: 29630. Some of the notable people born here have been: Lindsey Graham (lawyer and attorneys in the united states), , and DeAndre Hopkins (american football player). Central is a town in Pickens County, South Carolina, United States. As of the 2010 census, the population was 5,159. Contrary to its name, it is not near the center of South Carolina. It received its name from its geographic location, being the halfway or central point between Atlanta and Charlotte along the former Atlanta and Richmond Air-Line Railway line. The primary campus of Southern Wesleyan University is located east of the downtown area. It was noted by Bristol Herald Courier on October 4th, 2018 that Faith Evangeline Hobson (Newton) perished in Abingdon, Virginia. Ms. Hobson was 96 years old and was born in Central, SC. Send flowers to express your sympathy and honor Faith Evangeline's life. It was written by The Chronicle on June 27th, 2018 that William Ray Howard passed away in Olympia, Washington. Howard was 85 years old and was born in Central, SC. Send flowers to share your condolences and honor William Ray's life. It was revealed by Milwaukee Journal Sentinel on January 1st, 2017 that Julia E Lannin (Hampton) died in Wisconsin. Ms. Lannin was 95 years old and was born in Central, SC. Send flowers to share your condolences and honor Julia E's life. It was disclosed on March 27th, 2015 that Joyce Christine Downes (Kelley) died in Central, South Carolina. Ms. Downes was 84 years old and was born in Millville, NJ. Send flowers to express your sympathy and honor Joyce Christine's life. It was reported on January 30th, 2013 that Karen Lynn Schroeder (Gray) perished in Central, South Carolina. Ms. Schroeder was 65 years old. Send flowers to share your condolences and honor Karen Lynn's life. It was disclosed on January 30th, 2013 that Karen Lynn Schroeder (Gray) passed away in Central, South Carolina. Ms. Schroeder was 65 years old. Send flowers to express your sorrow and honor Karen Lynn's life. It was noted by The Star on August 11th, 2012 that Jeanette Marsh (Kelly) passed away in Kings Mountain, North Carolina. Ms. Marsh was 77 years old and was born in Central, SC. Send flowers to share your condolences and honor Jeanette's life. It was revealed on May 26th, 2011 that Audrey J Jenkins (Enderline) perished in Central, South Carolina. Ms. Jenkins was 82 years old and was born in Portage, PA. Send flowers to express your sorrow and honor Audrey J's life. It was reported on May 24th, 2011 that Audrey J Jenkins (Enderline) passed on in Central, South Carolina. Ms. Jenkins was 82 years old and was born in Portage, PA. Send flowers to express your sorrow and honor Audrey J's life. Central is a town in Pickens County, South Carolina County, South Carolina, United States. It received its name from its geographic location, being the halfway or central point between Atlanta, Georgia and Charlotte, North Carolina along the former Atlanta and Richmond Air-Line Railway line. 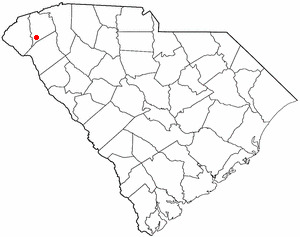 South Carolina's senior US senator Lindsey Graham was born and raised in Central. Central has several very large apartment complexes primarily housing students from nearby Clemson University, as well as from Central's own Southern Wesleyan University. Contrary to its name, it is not at all near the central area of South Carolina. The official website for the city of Central is http://www.cityofcentral.org/. Find BBB Accredited Funeral Services in Central SC - your guide to trusted Central SC Funeral Services, recommended and BBB Accredited businesses. Find BBB Accredited Funeral Directors in Central SC - your guide to trusted Central SC Funeral Directors, recommended and BBB Accredited businesses. Find a map, directions and more for Duckett-Robinson Funeral Home & Crematory in Central, SC. We work with local florists and flower shops to offer same day delivery. You will find budget sympathy flowers in Central here. Our funeral flowers are cheap in price but not in value.